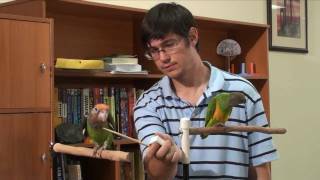 The Parrot Wizard taking care of the birds at Ginger's Parrots Rescue. 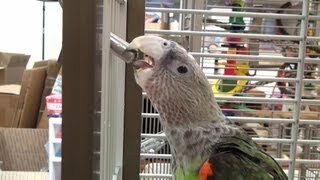 Cleaning food and water dishes, changing papers, and cleaning up are all vital to the health and welfare of the birds. 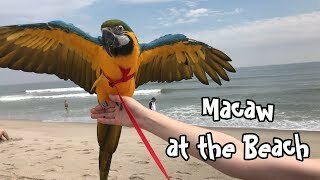 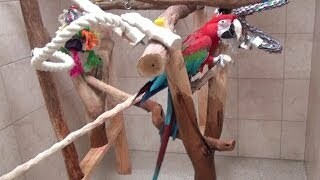 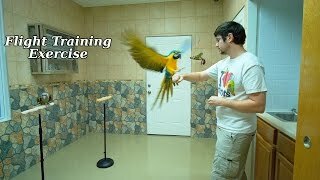 But so is flight, out of cage time, outdoor time, and training. 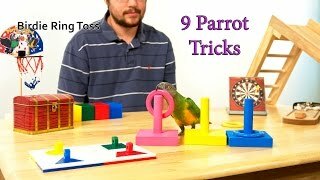 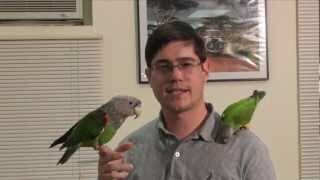 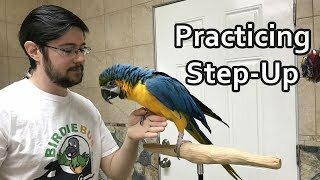 These are all integrated into the routine at Ginger's Parrots rescue and why these are some of the best parrots you could ever adopt!